Can I Sue Collection Agencies For Harrassing Phone Calls? Yes, you can. More often than not, people who have outstanding debts will have collectors calling them at all hours of the day and night. Their calls can be excessive, their tactics can be rude, and their demeanor can be quite aggressive. And frequently, the collectors will contact friends, family, and your place of work in their attempts to collect on the debt. These tactics are illegal. The main body of law that addresses this issue is the Fair Debt Collection Practices Act (FDCPA). It is a federal law that lays out what a collection agency must do when it attempts to collect on a debt, and what constitutes a violation thereof. So for example, a collection agency may call your land/home line, but they may not call you on your cell phone. This is clearly laid out in the statute. Therefore, each time you receive a call on your cell phone, the collector has violated your rights. The general amount that the collector must pay you in damages for having violated these rights is around $500.00. Assuming you are like most people, and therefore have a great number of collectors calling you, the amount of damages that may potentially be awarded to you could be quite high. Another example is the letters that the collection agencies send you. There is certain information that must be included in each piece of mail that they send. For instance, if the letter in question does not clearly indicate that the letter is from a debt collector, and that they are attempting to collect on a debt, the collector has violated your rights. If the collection letter does not indicate that you have the right to ask for validation of the debt, the collector has violated your rights. Each violation is handled by an award of damages (i.e. money) to you. Not all bankruptcy firms handle these types of cases. 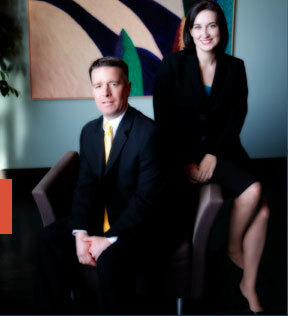 The St. Louis bankruptcy attorneys at Brinkman & Alter, LLC have been going after creditors and fighting for your rights for years. We have the necessary experience and knowledge to handle such claims, and help guide you to the fresh start / clean slate that you deserve.